My apologies for the late response .......... what can I say but all the products that I have purchased are of excellent quality and your speed of delivery cannot be faulted. 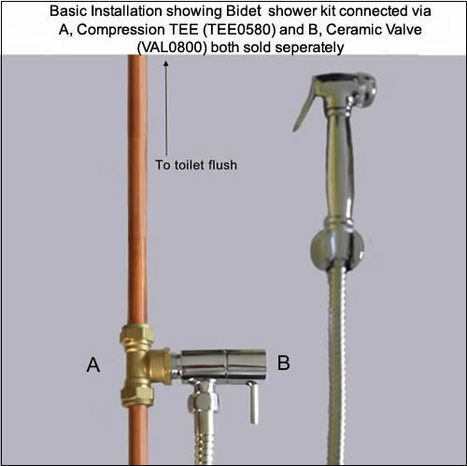 Bought the ITA1000: Bidet Sprayer and Kit and had if installed to the main toilet flush by a professional plumber. Having used it now for the last 2 months I can’t imagine why I didn’t get one years ago especially after traveling to South East Asia where they are in every home It makes so much sense for personal hygiene. The sprayer has a very powerful jet of water when fully squeezed but can be adjusted to a trickle by decreasing the pressure on the trigger. Tip…After turning off at mains after use, press the trigger on the sprayer to release the excess water and pressure. Excellent service from Kaizen Solutions and highly recommended. This is the best shower ever, extremely happy with my purchase. 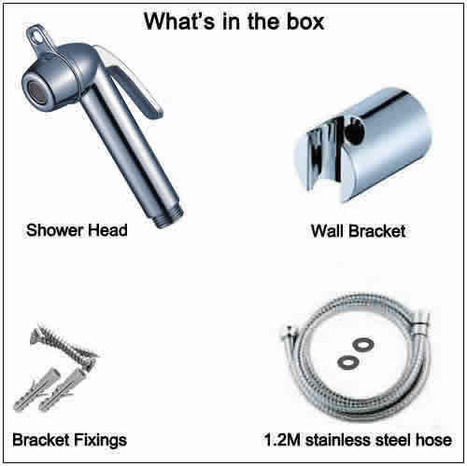 Very high quality, high pressure and most of all it doesn't leak. Looks good. Time will tell how long it will last: these sprayers never last very long. The O-ring at the base of the handle dropped out along the hose, without any immediately noticeable ill effects..
ordered on day 1 received item on day 2 ! Good experience with company from previous purchases and confirmed again. Haven't got it installed yet. The service is fast, the product is good with smooth operation. Good value product, delivered next day. I choose this bidet as it has a lever to control the water as opposed to other models which have a button, which can be slightly difficult to control and use. I am so glad I choose this model as it is very easy to use, and already friends that have used it in my house have asked where I bought it from! Would highly recommend. This is exactly what I wanted. Well done. Please note the following: As I could not wait home to receive delivery, I asked you to deliver to the Porter of an adjacent building giving his name. Regrettably you addressed the package only to his name omitting my name, that is the actual purchaser, on the package. Therefore, when received at the alternate address there was no indication that the package was owned by somebody else. Please amend your procedure for such eventuality. From our Italian design range. Italian Contemporary design. 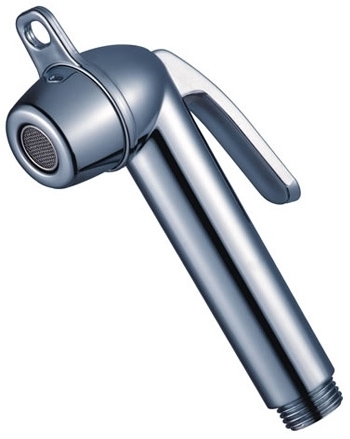 The sprayer head is manufactured in high impact ABS with a highly polished mirror chrome finish. 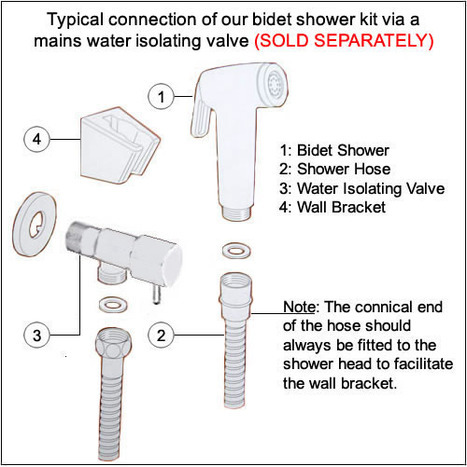 ITA1000: Premium Quality Bidet Sprayer. From our Italian design range. Italian Contemporary design. This head is particularly suited to the young and elderly with weaker hands as it has an effortless trigger and excellent water spray volume control. Bidet sprayer head with water control trigger The bidet sprayer head is manufactured in high impact ABS with a mirror chromium plate finish. 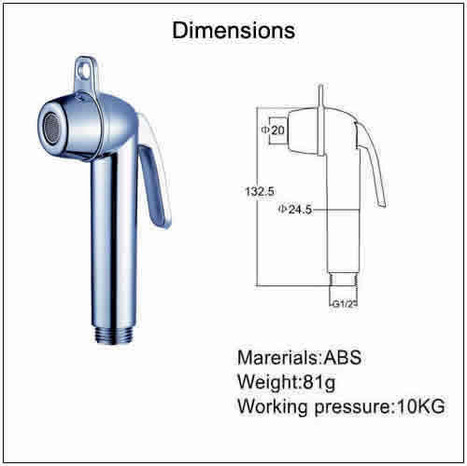 Weight of shower head, around 81 grams.